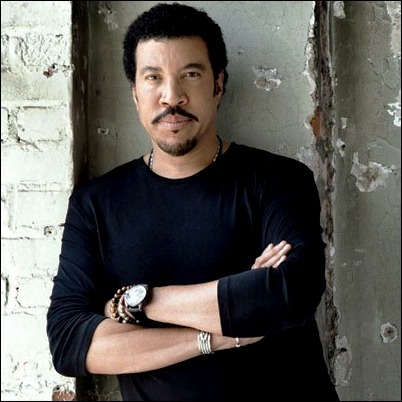 The seeds had likely been sown long before they surfaced in his songwriting, yet to various degrees throughout his career Lionel Richie has shown he has a soft spot for country music. In Commodores songs like “Easy” and the underrated gem “Lucy” the influence was evident; whether in his down-to-earth, say-what-you-feel lyrics—“I gave you my heart and I tried to make you happy, but you gave me nothing in return,” he sang in “Sail On,” another one that sounded more Music City than Motown—or in the earthy, Southern drawl in Richie’s delivery. Upon going solo, however, Richie branched out beyond the group's hardline R&B and funk foundation to embrace new influences, including mainstream country, in earnest. There was “Deep River Woman,” on which the legendary Alabama—then at the peak of their success—sang backup; and to a lesser extent “My Love,” which featured Kenny Rogers hitting the high notes and harmonies. Richie’s rolled the dice a few times with The Gambler, in fact, producing his 1981 LP Share Your Love (which included hits “I Don’t Need You” and “Through the Years”) and penning “Lady”—a #1 smash on the country and pop singles charts. And so Tuskegee (Mercury Nashville) doesn’t sound so much like a genre experiment as it does an extension of what Richie has been doing in fits and starts for years. A host of contemporary and veteran country acts are on hand and often help to effect new perspectives and contexts out of old memories, but the real stars here are the songs themselves. Most of them are instantly familiar—if you were awake in the ‘80s some were unavoidable—and just about all of the ones here have held up to time and interpretation. Willie Nelson and Kenny Rogers know a thing or two about how to interpret a song, of course; and Richie creates magic with both of them, culminating in a poignant performance of “Easy” and an epic reprisal of “Lady,” respectively. Also, Richie and a sublime-voiced Shania Twain offer a compellingly understated take on “Endless Love”—the only song here that was a duet to begin with—one that is attuned more to subtleties of an adult relationship than to the rapturous, burgeoning romance celebrated in the original. Other standouts include “My Love,” on which Kenny Chesney sings with a strikingly dignified, crooner-like cool; and “You Are,” which Blake Shelton injects with a homegrown shot of grit and twang to make it arguably the most characteristically country-sounding cut on the album. Indeed this is not your daddy’s country music, but the timeless qualities that made those old songs great are by and large the same as the ones present in Richie’s best work and, specifically, in the music on this album: stories to which anybody can relate and melodies which everybody will remember.